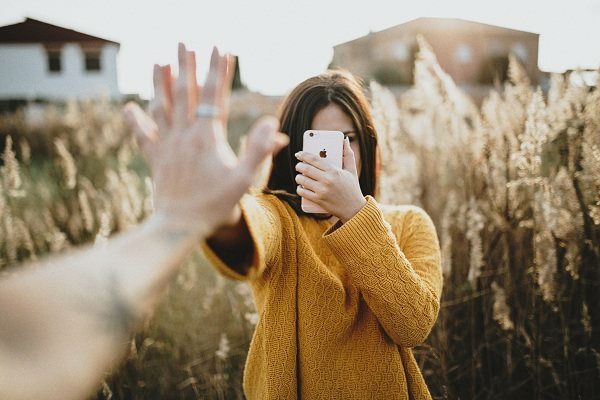 If your heart yearns for the newest iPhone model iPhone XS or XS Max, but your credit score is not so good and you don’t have enough cash to buy it upfront, there are still several bad credit iPhone financing options that you can consider. What Is Bad Credit iPhone Financing? Bad credit iPhone financing is strategies, programs or plans that a person with a poor or bad credit score can adapt to finance or source funds for purchasing an iPhone. A credit score is a form of measurement that is used by moneylenders or creditors to establish whether or not you are a credit risk. There are five categories of credit scores that is; excellent, good, average, low poor and bad. Credit score ranges from around 300 points to 800 points. Now, if you have 700- 800 points that’s an excellent credit score, 680-699 that’s good, 620 to 679 points that’s average, 580 to 619 that’s low, 500 – 579 points that’s poor and lastly 300 – 499 point that’s bad credit. This is an ideal strategy if you have an old model iPhone. All you need to do is to take it to an apple store, trade it in and receive your money which you can then top up and get the phone you want. This is an easy and straightforward process really, that usually doesn’t require credit checks or credit history. For instance, the estimated trade in price for iPhone 6 is around $145 while iPhone 6S can fetch you around $200. The trade-in value for iPhone 7 and iPhone 7S is $325 and $375 respectively. The good thing about this program is that it offers more compared to selling it on a technology resale site such as Gazelle where a 64GB unlocked iPhone 6 can give you approximately $130 while a 128GB unlocked iPhone 7 will fetch you around 300USD. The downside of this bad credit iPhone financing option is that it requires little savings on your part and you also need to have an old iPhone or an Android phone that you’ll use to trade in. Another way to get an iPhone with a poor credit score is through your mobile carrier. For example, T-Mobile provides prepaid plans (i.e. Equipment Installment Plan) that require no contracts. Frankly speaking, this may be the best plan for you to get that iPhone you’ve been craving for, especially if you have a bad credit. To acquire an iPhone through T-Mobile, your ideal option would be to buy it with EIP or Equipment Installment Program. However, just like any other plan, it has its own drawbacks. One disadvantage of EIP is that; the amount you’ll need to part with upfront is depended on a credit check. If you have an excellent credit record you’ll be eligible for $0 down and a monthly instalment of a certain amount (depending on iPhone model). For example, if you have a good credit, iPhone 7 will cost you $0 down payment and monthly instalments of around $27.08 for a period of 24 months. For those with bad credit, you will need to pay a down payment of around 360USD and a monthly instalment of $12.08 for 32 gigabytes iPhone 6. If you need the one with 128 GB, you will have to part with $470 but with the same monthly payments. Simple Choice without credit: With this option, you will be required to pay the device cost together with a refundable deposit that is equivalent to a month’s service. Verizon also has some specific plans for those with bad credit – and as you guessed it; it involves a deposit. The deposit varies from 150 USD to around 1000 USD per line. Most customers are given a deposit of around $400 in addition to the monthly payments. This can be a good option for those who have not been tied down to a carrier – and one who is looking for a good deal. If you visit most major wireless carrier shops today, you will find latest iPhone deals (e.g. iPhone Xs Max and iPhone Xs) with an eligible device trade-in or a finance agreement. Some mobile phone providers offer a discount that is as high as $300 off for iPhone X if you trade in a specified smartphone. There are also those that offer to reduce some percentage of the overall cost if you sign a multi-year contract with them. T-Mobile for instance, offers $300 off iPhone Xs and iPhone X Max, for an eligible smartphone trade-in and a finance agreement. Verizon, on the other hand, has multiple deals for both existing and new clients. If you buy a second iPhone from Verizon, you can also be given up to $700 off your bill as a discount. Debatably, the most direct and sure way of avoiding credit checks is through the prepaid mobile plans. One of the main reasons why you no longer hear much about deposits is because of the four main carriers (AT&T, T-Mobile, Sprint and Verizon) which offer very competitive prepaid mobile phones plans; that is perfect for customers with poor or bad credits. If you can be able to pay for your iPhone without any financing assistance, AT&T, T-Mobile, Sprint and Verizon can set you up with a service that requires no contract, cell phones no money down no credit check and they also offer a variety of smartphones. Moreover, with Verizon, AT&T and T-Mobile you can be able to acquire the latest model of Samsung Galaxy and an iPhone, with their prepaid program. Apart from the four major carriers, you can also look at the prepaid deals offered by other carriers such as Boost Mobile, Cricket Wireless, Virgin Mobile and MetroPCS. Though they might have the same terms and price rates, shared plan option may not be that attractive. Nonetheless, there are always new promotions and so if you are considering adopting this plan, it is only wise that you do a detailed research on pricing as well as an assessment on your data needs so as to come up with an informed decision. 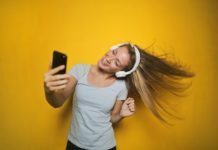 Although prepaid plans may have limited options in terms of the type of phone you want, the data usage provided or the minutes available, it is still one of the best and viable options for less creditworthy users. iPhone leasing is another option to consider if you have a bad credit score. With cell phone leasing, a carrier gives you a SIM-card and a handset/phone that you are required to use until the end of the contract which is normally 24 months. With this plan, the carrier owes you; the amount indicated on the contract in addition to the applicable device monthly payment fees. 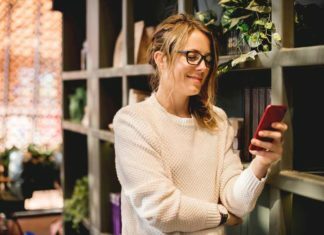 You see, when you sign-up with a carrier for a cell phone leasing plan, you will be a paying a monthly fee for the specified duration of time, but you will not be paying in order to own the phone, instead, you will be leasing or renting it from the provider. Well, some providers will allow you to own the phone once you have completed the payments. There is also the option of upgrading to the latest model. All you will be required to do is had in the old model in exchange for a new one and you continue with your monthly repayments. If you need an iPhone and a prepaid plan is not an appealing option for you, there are several other things that you can still do. Firstly, if you are not aware of your credit ratings, then it is high time that you check it out. You can inquire about it with one of the numerous credits reference organizations. However, if you don’t feel like spending some money on credit references, you can check out the free credit report. But remember that, just like any other free thing, a free credit report has its disadvantages. Nonetheless, you’ll be able to have an idea of where you fall in terms of credit ratings which can help motivate you towards improving your score. You can also apply for less expensive iPhones which will boost your chances of getting the contract. You see, mobile providers see a huge risk in giving someone with a poor credit score a high-end iPhone. So if you are considering this mode of iPhone financing, then it is wise to apply for a lowly priced iPhone if you are to be successful. Purchasing an iPhone upfront because you are not eligible for any mobile financing plan is not a joke, particularly if you need the latest Samsung Galaxy or iPhone whose price range is around 900 USD to 1000USD. To keep it at a reasonable range, you can opt for a less popular make or model through carriers. For instance, Verizon offers its prepaid users a Samsung Galaxy J3 (the 2016) model for $99. You can also get older version iPhone such as 16 gigabytes iPhone SE for around $384 through T-Mobile. 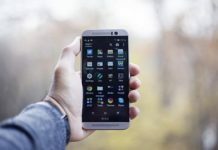 Alternatively, you can also decide to search through online markets on your own, since most mobile carriers permit you to bring your own phone. 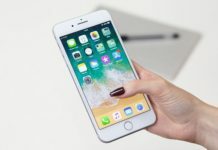 Purchasing a second-hand iPhone can save you a few bucks, but you need to be careful not to buy phones that have been stolen or reported lost; since no network, providers will allow you to use it. You need to be certain that you are trading with a reliable outlet. Gazelle is one of the safest and reputable outlets for secondhand products, while eBay and Amazon provide money back guarantee for products bought from a third party. Maybe spending a grand on a phone is not an option for you or maybe you do not need all the attractive features that come with an expensive phone. Consumer reports recommend saving some money for one of the earlier iPhone models that are still available in the market. 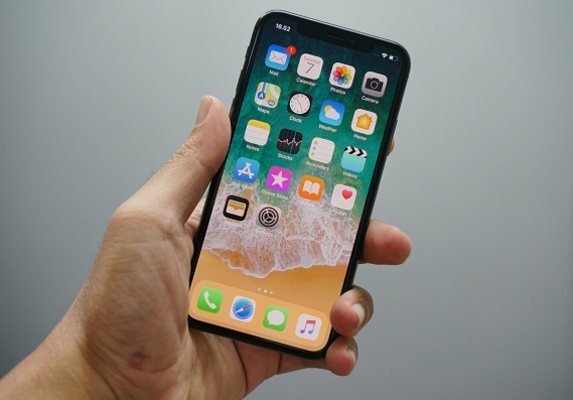 Some dealers and retailers have already reduced the cost of the 64 gigabytes iPhone X from the previous original price of 1000 USD to the current 900USD or a leasing price of $30 per month for a duration of 30 months. You can decide to buy iPhone 7 for $449 or alternatively you can opt for a new iPhone 8 which currently goes for approximately 599 USD. Note that the iPhone 8 and 7 are still excellent devices and they perform almost everything that XS does, particularly the iPhone 7 plus which has the dual camera feature which most people like. The prices of the above mentioned iPhone have significantly dropped, and therefore if you strictly want an Apple phone regardless of your credit ratings, then those are some of your budget choices. iPhone financing no credit check plans and programs are perfect for those with poor or bad credit score. In 2015, T-Mobile speaking to CNN noted that ‘almost half of the American people don’t have enough credit to be eligible for some of the best wireless plan the company is offering’. This clearly indicates the need for a program or a plan that will enable everyone irrespective of their credit score to own a phone (in this case an iPhone). iPhone financing no credit check is a strategy that can help achieve this. There are quite a number of mobile providers that offer this kind of iPhone financing and they all have different packages that try to bring everyone (those with good and bad credit score) on board. Some of the iPhone financing no credit check plans include prepaid plans, cell phone leasing with no credit checks, family plan among others. Additionally, cell phone carriers such as T-Mobile, Verizon and Sprint have some deals such as Equipment Installment programs that don’t require a credit check. In conclusion, it is not easy to get bad credit iPhone financing deal and it may need a lot of research and patience to find the right deal. However, as demonstrated above there are several ways through which you can get an iPhone with poor credit or even with no credit history. All you need to do is research and find one that meets your budget and fulfils your desires. You also need to work towards improving your credit ratings, since a good or strong credit score gives you access to a wide array of options.